Pass along this information to teachers and parents who may be stuck in the myths of dyslexia. Whether a student ends up getting lessons or not, the word and information you share may just save our world’s next great inventor, engineer, or scientist! I have great news to share with you about bright children (and adults) who struggle with reading and spelling. In a moment, when I share a specific word with you, you might think that this article does not apply to you and you may be tempted to stop reading. I challenge you to read on. You may be surprised by what you learn, and chances are high (1 in 5) that you, your child, or someone you know is dealing with this soon-to-be revealed word and I have some exciting news to share with you about it. • It is not rare. In fact, it affects about 5 or 6 kids per classroom to some degree. • It happens to intelligent people. I have a student who scored “high-superior” on IQ tests but couldn’t read or spell very well. • It comes with some pretty cool skills. • It occurs in people all over the world in people of all ages. The word is dyslexia. Dyslexia is not new, but for a long time, scientists and educators had to make guesses about it. Since the use of fMRIs (brain-activity movies! ), it is no longer a mystery and it no longer has to be a big shameful secret. I will share what dyslexia is, what it looks like, and how it can be helped. Dyslexia is a genetic brain difference that causes difficulty with language despite intelligence, motivation, and education. Good news: People with dyslexia are in good company! Albert Einstein, Walt Disney, and Thomas Edison all had dyslexia and many famous actors, sports figures, and successful business leaders have dyslexia. Good news: People with dyslexia typically have great imagination skills, and tend to be creative, “out-of-the-box” thinkers. You will also find that many people with dyslexia are very kind, intuitive, and sensitive to the needs of others. Most also have at least one area that is a HUGE strength such as mechanical skill, art, sports, public speaking, music, building, logic, inventing, comprehension of stories read TO them, acting/performing, and problem solving. Once I was aware that dyslexia often came with gifts, I started wondering if certain people had dyslexia, based ONLY on their strengths. Without knowing anything about their reading and spelling skills, I correctly guessed that James Dyson (think creative inventions such as a fan without a blade, new types of hand dryers, and very awesome vacuums) and Steve Jobs (Apple CEO) both had dyslexia. Good news: Although a person can’t get rid of or cure dyslexia, we now know how to fix the reading and spelling difficulties that come with it! 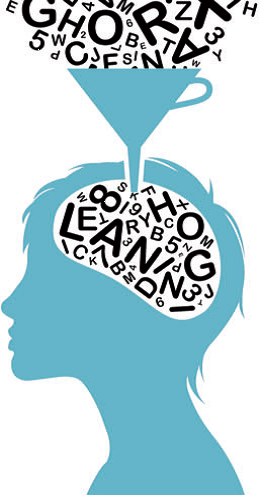 Specialized lessons using an approach that is multisensory, explicit, and systematic can help a person literally rewire the brain so that reading and spelling no longer have to be a struggle. One example of a well-known and successful system is called the Barton Reading and Spelling System. This 10-level system trains students in phonemic awareness (the awareness that spoken words are made up of sounds, and that sounds can be added, removed, or changed to make new words), and then brings them through a sequential set of lessons that teach reading and spelling simultaneously and add logic to the reading and spelling of our language. Students learn how to read and spell without having to guess or memorize. My students can tell you when to use a c, a ck, or a k when spelling a word with the /k/ sound. Also, most people know that there are double letters in the middle of words like kitten and happy. My students can tell you why those words have to have that double letter. Good news: Once students get the type of teaching that is designed for their brains, they excel. By the end of level 4, students are reading and spelling words such as represent, confident, indignant, and pendulum. By the end of Level 5: unfrequented, noncommissioned, incontestable, preexisting, misconstrue, and overwhelmingly. By the end of Level 6: hypnosis, petroglyphs, outrageous, procrastination, inadequate, and scandalous. By the end of Level 9: attaché, protégé, ricochet, bureau, and grotesque. By the end of Level 10, students are reading and understanding the meaning of words like osteoporosis, thyroidectomy, physiotherapy, phonocardiography and hypercholesterolemia. been told about dyslexia and its signs, though, so I remained blind to it until I saw an eye-opening presentation about the signs and symptoms of dyslexia. I would like to share some of those signs with you. thought this since some kids would get the letters b and d mixed up, and they might see the word was and say “saw” or see the word on and say “no.” Also, I have seen several students write their names from right to left, like this young girl, Shania: The reason directionality errors occur is not a vision thing at all, but rather a processing or perception issue. The best way to explain this is to look at the pictures below. What do you see in the first picture? How about the second one? What about the rest of the pictures? If you said “a banana”, you are correct, no matter which way it’s facing. Now, imagine that you are at a parade. You are watching the parade from one side of the street and your friend is across the street watching from the other side. Down the street comes a float with a large balloon shaped like a super hero. “Superman!” says a kid watching while he hangs upside down from a tree branch. Later, along comes a float with a large balloon shaped like a letter. “p!” says the kid in the tree. Later, along comes a float with a large balloon shaped like a word. “Sam!” says the kid in the tree. Which parade-watcher would you say is correct? mid-air and viewed from all angles. When they see the letter b on a page, their eyes see the same shape as everyone else. They may correctly say “b”, but may just as easily say “d” or “p” since all of those letters are the same shape from a 3D point of view. letter’s shape and its orientation doesn’t seem important. This can also make it hard to learn the difference between left and right, how to tell time on a clock with hands, and how to read maps. rely on individual letters of words to help them read. Instead, they use their intelligence, picture clues, context clues, and memorizing the general shape of the words to read. 5.The student has not used the letters at all, but has used context clues or pictures to guess a word that makes sense in that spot. Students may also skip or switch smaller words and prepositions (the, a, of, and, at, to) and leave off word endings/suffixes (needed/ “need” or playing/ “play”). Spelling: You may see poor spelling, even on common words or sight words that have been seen and used over and over. Students will trying to spell by memory, and may treat every word as a sight word to be visually remembered. Even though kids see the word stop all the time, young students will usually spell it SOP (all capitals like the sign) or SOTP. They try to picture a stop sign rather than record the letters that represent the sounds in the order that they are heard. Writing: Students may form letters in an odd way. They may start the same letter many different ways, start at the bottom and go up, use many strokes for a letter that only needs one stroke. You might not see ascending or descending letters (letters that are tall or go below the line) and letters don’t sit nicely on the bottom line. Sometimes you’ll see an odd pencil grip Students will commonly leave off capitals at the beginning of sentence, or use capital letters in the middle of sentences. There may be very little use of punctuation. they may have trouble memorizing a list or a sequence of steps, such as months of year, days of week, order of the alphabet (without using the song), steps of long division, steps of tying shoes, and basic math facts. Good news: We do not have to wait until students fail in order to give them the teaching they need. Signs of dyslexia can be seen even before reading and spelling begin. Here are some things to look for in a young child: chronic ear infections, delayed speech, trouble memorizing (phone number, address, letters of the alphabet), difficulty learning to tie shoes, trouble pronouncing words correctly, a hard time with rhyming, and late to pick a dominant hand. Good news: It is never too late to retrain the brain to make reading and spelling easier. Although it is wonderful when we can catch dyslexia early, I know of successful students ranging in age from 6 to 56. Even though the science world is exploding with information about dyslexia and how to help it, most schools are lagging behind in this knowledge and putting it to use, so many children are not getting the type of instruction that they need. Good news: There are many private individuals and schools dedicated to teaching reading and spelling in the way people with dyslexia need. The key question to ask a school or tutor is, “Is the approach that you are using based on the work of Orton-Gillingham and are you trained in it?” Or ton-Gi l l ingham (sometimes referred to as O-G) just means the multi-sensory, explicit, and systematic teaching approach designed by Dr. Samuel Orton (physician) and Anna Gillingham (teacher) that has been found to be very successful in teaching reading and spelling, especially to those with dyslexia. If a person can’t find or afford a private school or a tutor, the Barton Reading and Spelling System (O-G based) is very user-friendly and is designed so that parents can be trained on it in order to teach their children themselves! Good news: Remember the strengths that were mentioned at the beginning of this article? Colleges used to think that people with dyslexia were not “college material.” Now, many colleges are starting to realize that people with dyslexia actually make some of their best students and are trying to think of ways to attract students with dyslexia.